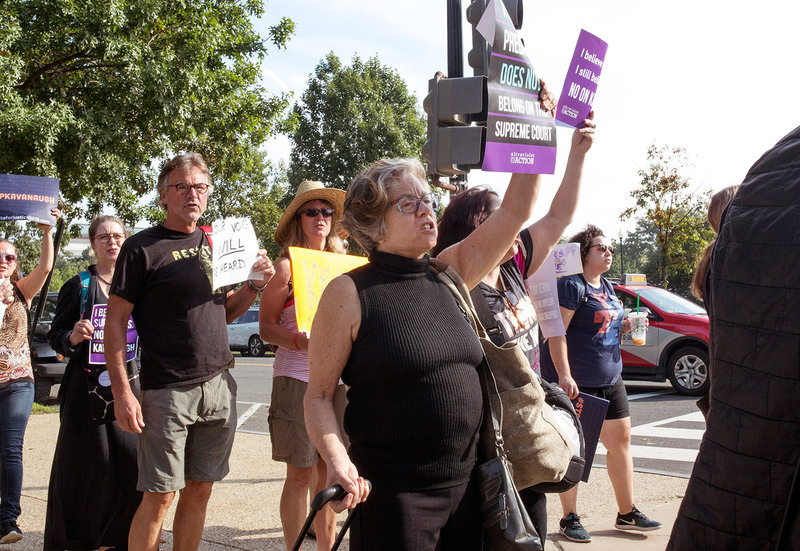 Susan Feiner holds up a no on Kavanaugh sign while walking to the Senate office building in Washington, D.C., with a group of Mainers on Oct. 4. The group traveled from Maine in hopes of meeting with Sen. Susan Collins about Supreme Court nominee Brett Kavanaugh. 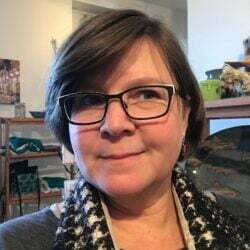 Feiner, a retired USM professor, was later barred from teaching at the college because she offered students a “pop-up” course for credit to take the bus to Washington with the demonstrators.